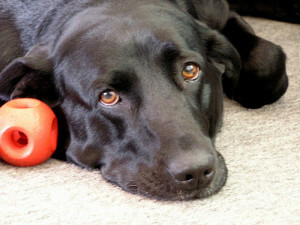 Many still wonder if Dogs can ever be depressed or upset, especially when they are usually so bubbly and full of energy. The answer is YES, simply because animals have emotions too, and the Dogs’ reaction and behaviour when they are depressed or ill is strikingly similar to a Human. Things would have been so much easier if they had the ability to speak, wouldn't it? But alas, they can’t speak to us the way another person could. Thankfully with the research efforts of Dog Behaviourists and Veterinarians around the world, there are a few significant tell-tale signs that can help us read possible early signs of depression or illness, apart from the obvious physical signs such as loose or odd-coloured stool, vomiting, redness in eyes, excessive panting, and lumps. Before you start sky rocketing with anxiety on these possible signs, you should first take note of monitoring any unusual behaviour, at least for a couple of days. Fret not, suggestions to help fix these issues will also be included in this article, so hang on tight and read on! 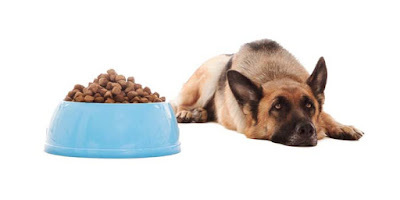 A loss of appetite or sudden weight loss is perhaps the clearest sign you could notice, especially if your Pooch has always had a good appetite on regular days. This could be due to illness or depression, some Dogs may do the opposite and overeat (like stress-eating for Humans), because they seek the comfort in their own meals. If good Dental hygiene is a common practice with your Doggo, and you have tried freshening treats to curb the issue with no avail, the persistent sign of bad breath may be due to mental or physical issues. 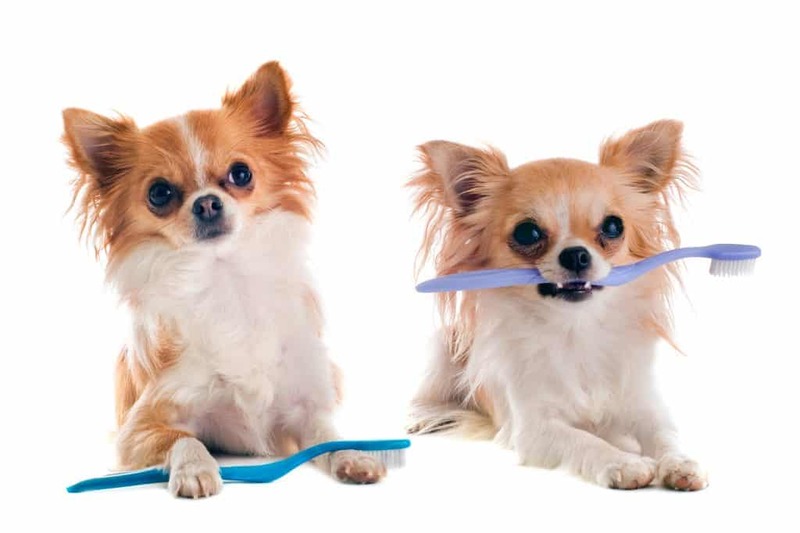 For humans it may be lack of sleep or a rotting tooth, and it’s along the same lines for our canine friends too. Alright, it’s no surprise that our Furkids love to sleep, in fact they have the luxury to sleep whilst awaiting their Pawrents to be home from work. And they’d usually greet you at the door with tails a-wagging when you’re back. So If you notice that your Pooch is suddenly unaware of your “home-coming” or stops getting up to greet you, there is something bothering them. 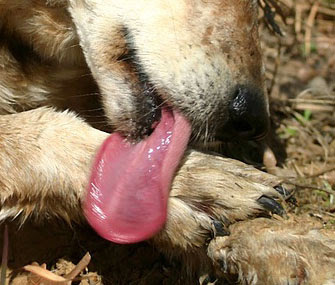 We are all aware of how our furry companions lick themselves during a session of self-grooming, but when experts say “too much”, they are referring to a Dog’s excessive licking or chewing of their paws. Think about a Human’s habit of chewing on their fingernails due to anxiety or nervousness. Somehow a bad habit calms them down, and for our Pooches, licking and chewing their paws soothes them from an underlined problem. 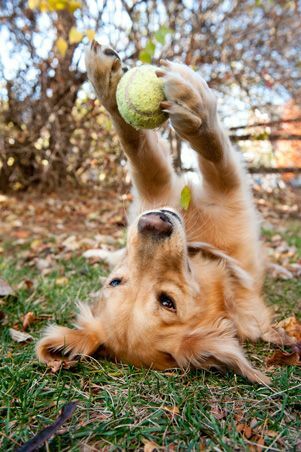 Another clear sign is when your Pooch seems uninterested in activities that used to excite him/her, such as playtime, taking walks and even at the sight of their favourite treats. Stiffness and being unable to move about (not due to old age) is also included in this sign, something’s definitely got them feeling all mopey. Some of us like to be left alone when we are sad or upset, similarly if you notice your Dog’s been hiding away in a dark corner (i.e. 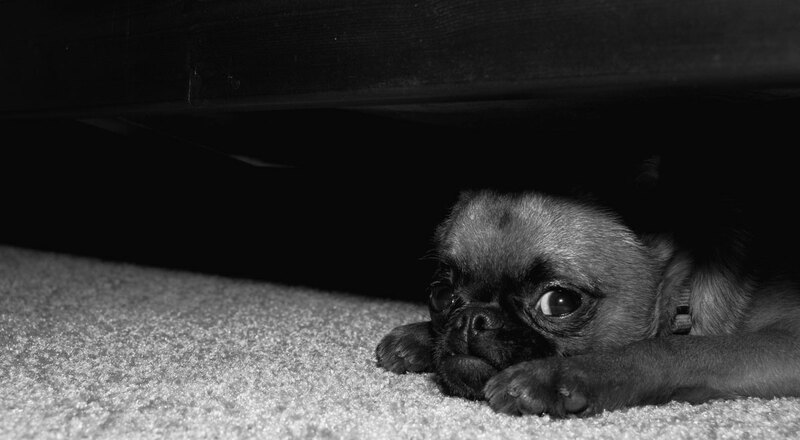 under the bed, in a closet), it is another indicator that your Dog might be depressed, or is feeling ill. 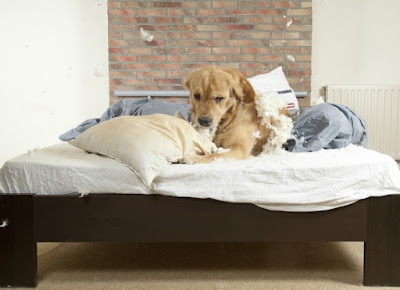 When a well-behaved Pooch starts portraying destructive behaviour and you find your furniture chewed on or torn up, your Furkid is trying to tell you something! Sometimes, they might display sudden aggression or whining and howling too, clearly, something’s bothering him/her. The exact opposite of hiding and avoiding, a Dog could be constantly pacing back and forth through the rooms, seemingly unable to find a spot to rest on. If your Pooch doesn’t usually display this behaviour, this could be another possible sign of depression or queasiness. 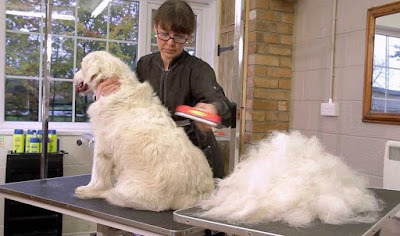 Dogs that do shed naturally on a regular basis shed in different amounts according to the type of breed, so if you realise the amount of hair that has been shed is much more than usual or if you notice bald patches, it could be a sign of depression, if nothing internal. Yep, like how some of us may bald due to stress! Firstly, as we’ve mentioned at the start, you should monitor and understand your Doggo’s behaviour, so if any of these signs start surfacing out of the blue, you can determine that it is not normal. 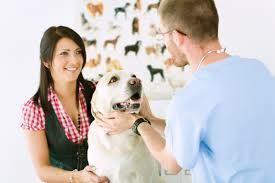 To be absolutely sure, bring your Pooch to your trusted Veterinarian to seek professional help. With a thorough checkup to ensure that these behaviours are not due to any underlying medical issues. After all, we have no other ways to be certain of issues that are internal. 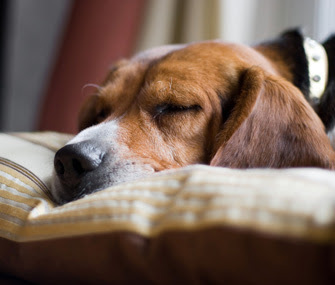 Change of environment – a sudden switch could be unfamiliar and scary for our canine pals, they would require some time to adapt to a new space altogether. 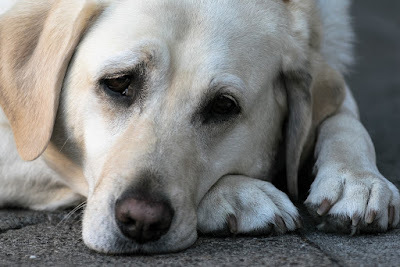 Losing a companion – Dogs are sensitive creatures, the passing of someone or another pet can most certainly bring about depression in your Pooch. 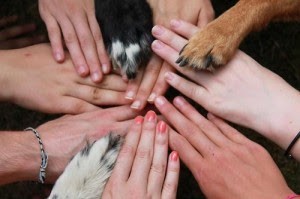 Think about the numerous video examples or loyal Dogs that still mourn for their owners, long after their passing! A new family member – if you have recently gotten a new Pet or had a baby, you might have unknowingly paid less attention to your existing Furbaby. An abrupt lack of attention could impact them too. This could also be applied to a sudden change of schedule in your life. 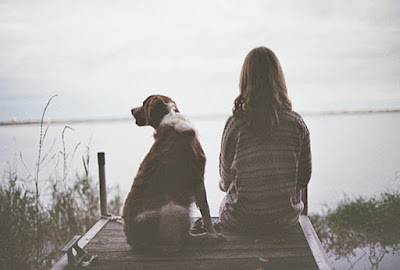 Spend more time with your canine companion, praise and encourage them on positive behaviour when they do portray them. Avoid negative reactions and reprimanding as our Pooches may accept them wrongly. In some severe cases, these little tips cannot help a Dog overcome his/her depression, and in this case, it’s recommended that you make a trip back to the Vet. In which proper medication like anti-depressants should be prescribed. Good news is, most Doggies eventually snap out of their depression after a few months of medication, so be patient and remember to shower them with lots and lots of warmth, support and love!